In my last article, following architect Deane Simpson’s ‘Young-Old: Urban Utopias of an Aging Society’ (2015), we explored the world’s largest age-segregated community – The Villages of Florida, USA – and examined what we can learn from it. Simpson investigates three other retirement communities in his book that are equally interesting: Spain’s “urbanizaciones” on the Costa del Sol, Huis ten Bosch in Japan, and the Senior Recreational Vehicle Community in the USA. The Costa del Sol in the south of Spain is sometimes referred to as “Europe’s retirement home”. Particularly since the 1980s retirees from North-West Europe have been moving to this stretch of roughly 150 kilometers of sunny coastline. 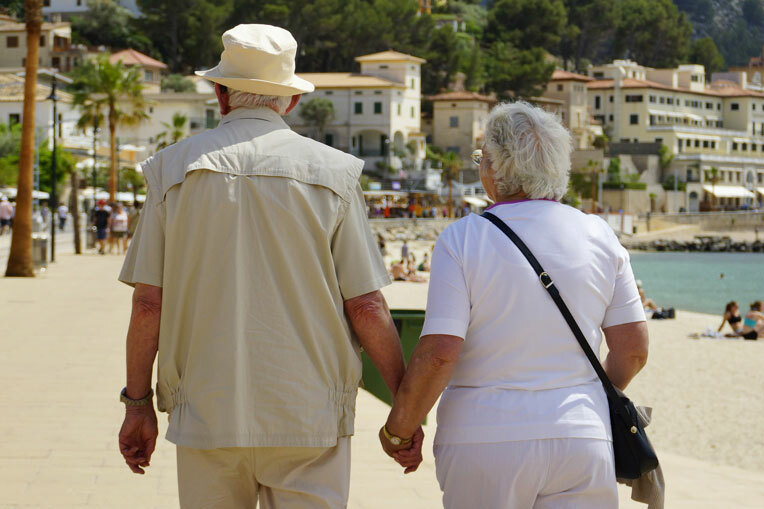 Some estimations state that the region hosts more than 600,000 retirees, of which most live in Spanish-styled “urbanizaciones” – resorts of extended holiday. 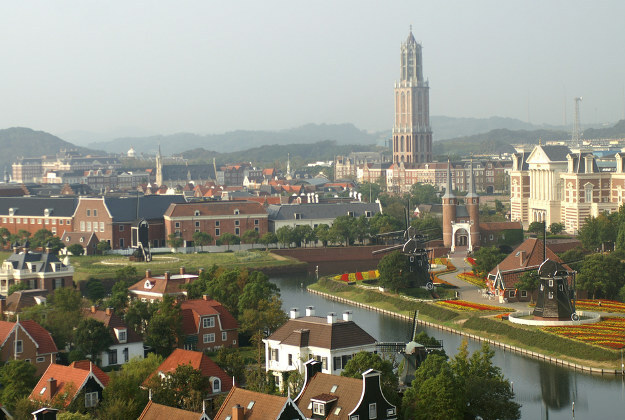 On the other side of the globe we find Huis ten Bosch, which is a Dutch-themed entertainment park located between Nagasaki and Fukuoka in Japan. The park accommodates almost 200 homes, occupied by people aged 55 on average. People living on the estate have unlimited access to the park and the activities organized, which include daily cheese making demonstrations and flower art workshops. Lastly, again in the USA, an estimated 2 to 3 million seniors tour around the country year round, described by Simpson as the Senior Recreational Vehicle Community (SRVC). Extensive road networks as well as a network of campgrounds make this lifestyle possible, and through Satellite Internet seniors can stay in touch with each other and with family across the country. First, in all four cases – from The Villages, USA to Huis ten Bosch, Japan – Simpson observes the exploitation of utopian ideas about ideal living situations, often envisioned as endless vacations and excluding the duties of work and family. Second, Simpson describes a common tendency of age segregation. The segregation occurring in The Villages is formally organized, and as such it is a formally organized retirement community (FORC). The other three cases can be thought of as naturally occurring retirement communities (NORC), where segregation occurs somewhat organically. Third, private forms of governance emerge in Young-Old Urbanism, in the form of gated communities for instance. Fourth, Simpson describes mobility as a recurring theme. In the case of Costa del Sol we can speak of North-South migratory mobility, whereas in the case of The Villages it is more about mobility in terms of individual and local (golf cart) mobility. Fifth, Simpson observes that in three out of the four cases – not in the Senior Recreational Vehicle Community – theming is deployed. In The Villages, pervasive theming disconnects residents from contemporary time. The theming of “urbanizaciones” in the Costa del Sol, on the other hand, is much more subtle. Lastly, Simpson recognizes a tendency of instrumentalization, meaning that, in the retirement communities, concepts, devices and instruments are deployed towards the specific ends of the Young-Old. The golf cart infrastructure as an alternative form of mobility in The Villages is an example of such instrumentalization. NEW URBAN FORMS AND SUPPORTIVE ARRANGEMENTS: BUT WHAT ARE THEY? Simpson concludes his book with the argument that the group of Young-Old will be one of the most engaged demographic groups in defining new forms of life and the new forms of environments supporting them. Is this true for all contexts? We do see more and more youthful city makers working to define their cities, with increasing influence. The cases examined by Simpson are supposedly examples of the types of new forms Young-Olds are defining, and it is suggested that these new forms will be influenced by the tendencies discussed in the former paragraph. I agree that, as the demographic group of Young-Olds (and Old-Olds!) continues to grow, a demand for new urban forms emerges. However, I would argue that it is not just a demand for new urban forms, which seems to point in the direction of almost market-driven age-segregated communities, but perhaps rather new supportive arrangements within cities and regions. Moreover, I question to what extent the selected cases – some of them being quite goofy, such as The Villages and Huis ten Bosch – help us gain constructive knowledge as to what desirable urban forms or supportive structures are. For instance, how real is the tendency of theming in Young-Old Urbanism globally? The transition from cases to argument comes across poorly in the book. Simpson’s publication is widely read among those interested in aging studies, and as such it is a disappointment that the book does not provide us with any robust recommendations as to how to deal with population aging in cities, but rather leaves us with a lot of questions. To what extent are the selected cases exemplary Young-Old Urbanisms? What urban transformations can we really expect as populations age? And what are desirable urban solutions? As opposed to massive age-segregated communities, how can we transform cities into places serving all ages? With increasing numbers of people who don’t have access to, or do not want to go to, age-segregated utopias, these questions are ever more pertinent. As our research continues, we will look into these questions.